The IU is the Coordinator for Bus Driver Instructors. For more information, contact Jana Strong – jstrong@iu17.org. What do I need to do to become a school bus driver in PA? You must obtain a School Bus Driver’s Physical Examination Form (DL-704) from your prospective employer. Upon passing the physical examination, you will need to submit Form DL-704, Form DL-31CD “Application for Commercial Learner’s Permit” and the appropriate fee to PennDOT. You will be required to pass a vision screening and Knowledge Tests, including but not limited to the Commercial General Knowledge, Passenger Endorsement, School Bus Endorsement, and Air Brakes, if applicable. Please note that Pennsylvania law requires you to pass both a criminal history check conducted by the Pennsylvania State Police, a child abuse history check conducted by the Pennsylvania Department of Public Welfare and a FBI background clearance . 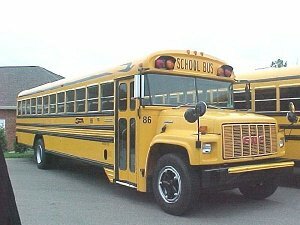 What do I need to do to maintain my school bus endorsement in PA?